Things are changing downtown on Devilliers Street. Escambia County has added sidewalks, roadway improvements, street lamps, brick pavers, and new sod; it’s actually quite nice. Even the Blue Dot has a fresh coat of paint- the once drab blue is now an upbeat royal blue inside and out. Somethings however haven’t changed. For example- it’s 11:00am and there’s a line of customers forming outside the door of the freshly painted Blue Dot. 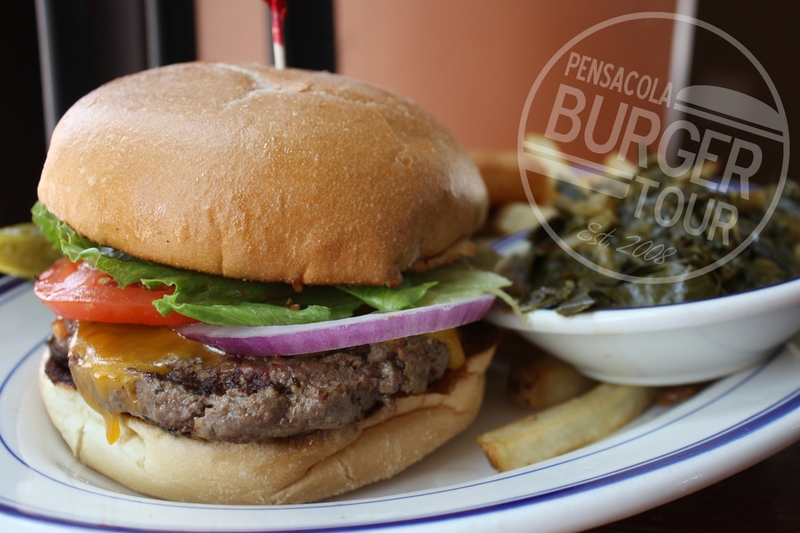 The Blue Dot is the Pensacola Burger Tour’s defending champion and has become legendary in Pensacola burger lore. So, we waited patiently in line to find out if anything has changed inside the brown bag. 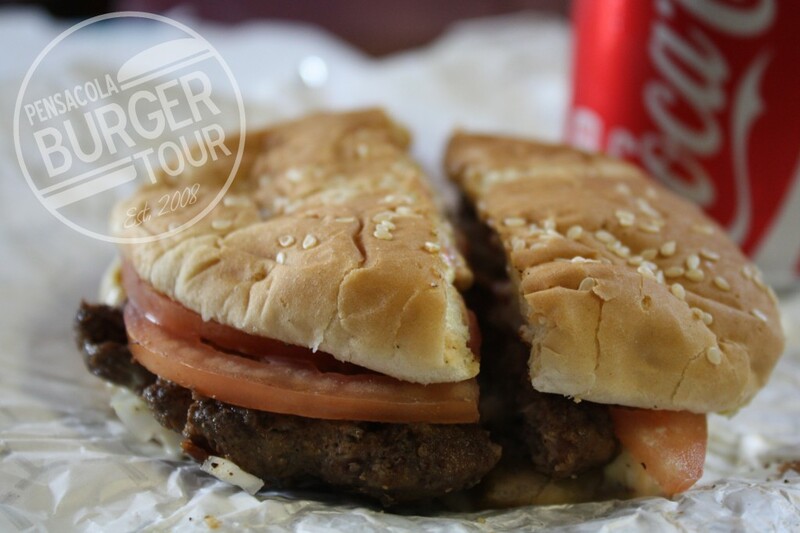 In a few short weeks the Top 4 Burgers in Pensacola will square off in a head to head competition for this year’s crown.